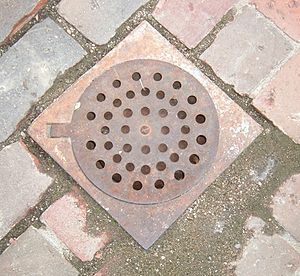 A drain is found in the ground and lets water go through (usually rainwater) to avoid the street or farmland getting flooded. Drain Facts for Kids. Kiddle Encyclopedia.